“A Collective and its Individuals: The Bauhaus and its Women”, pp. 158 – 173. 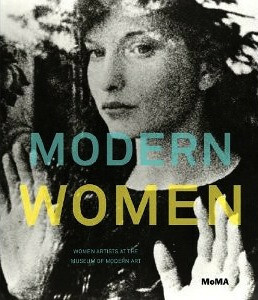 With 3 illustrations of Works by Gunta Stölzl that are part of the MoMA collection. 61/8 x 4 5/8” (15.6 x 11.7 cm). Phyllis B. Lambert Fund. Design for a Textile, ca. 1923. Gouache on paper, 3 1/8” x 37/8 “ (8 x 9.8 cm).